This entry was posted in AllPoetry, Poetry, The Pen on September 24, 2011 by Dee. This is a real delight. The picture certainly humanizes the insect world and thus we can imagine the ball they are having in your poem. I am so glad you joined the party!! I love the way you disguise your rhymes by hiding them within the short lines! Lots of fun! Loved this, it was almost musical and so rhythmic and rushing along. Busy busy bugs. hmm, what happened to my comment. 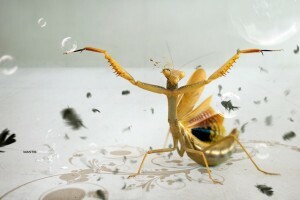 Did Ms Mantis gobble it up? Anyway…I said, I loved this, rhythmic and rhyme, bubbling along and busy bugs. Oh silly me, bugs in my brain, there they is, hahaha. thank you Linda lol – I think it takes a moment before WordPress anti-spam filter lets things appear. Thank you for the lovely compliment and the extra attempt to make sure it showed up! Brilliantly written! Sounds like a piece to be performed in fron of an audience. thank you – I read it for my poetry group and they liked it 🙂 My only problem was having enough breath!